Frank O’Meara (1853-88), an internationally famous nineteenth-century impressionist artist is buried in St. Mary’s Catholic Church which dates from the 1860s. 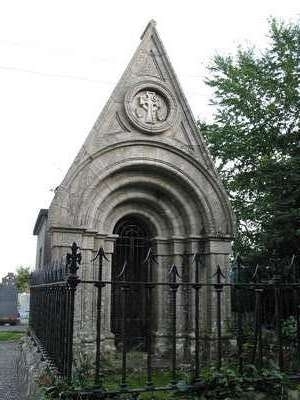 His tomb is designed after the medieval doorway at Killeshin. 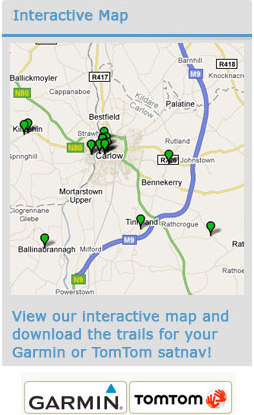 Frank spent his early years in Dublin Street, Carlow where his father Dr. Thomas J. O’ Meara was medical officer and honorary professor of animal physiology and zoology at Carlow College. O’Meara studied at Carlow College before moving to Dublin to complete his education. 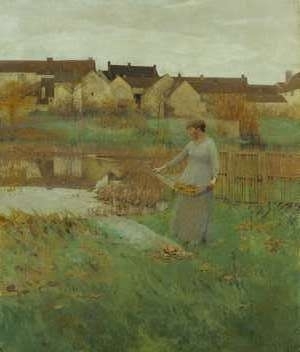 In the early 1870s he moved to Paris to study art. He became associated with the Plein- Air or Open Air style of painting and is regarded as the most noted Irish painter in that style. 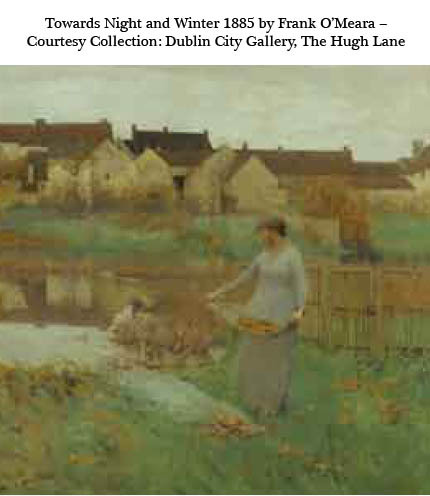 The Hugh Lane Gallery on Parnell Square in Dublin carries a selection of his important works. Frank O’ Meara returned to Carlow in the spring of 1888. He was suffering from malaria which he had had for approximately seven years. He died at the family home with his father present. He was only 35 years old. He was buried at the family graveyard in Bennekerry where his family erected this impressive tomb. A brother, a sister and Frank’s mother died before he was 20 and these tragedies had a lasting effect on him. His paintings are beautiful but there is a sadness or loneliness involved which reflects this loss. Some refer to the atmosphere created by his paintings as a silent and dreamlike Celtic Twilight.